Middle: Sega Genesis Model 2 with 6-button controller. Bottom: Sega Genesis Nomad, portable variation. The Sega Genesis is a 16-bit, fourth-generation console released by Sega in Japan on October 29, 1988 and in the US on August 14, 1989. It had a Motorola 68000 CPU at 7.6 MHz and a Zilog Z80 at 3.58 MHz. In other regions, it was known as the Mega Drive. It had several add-ons, including the Sega CD (a CD add-on, called Mega CD outside America) and the 32X (a 32-bit, cartridge-based add-on). The Sega CD was released on October 15, 1992 and retailed for $299 ($531.45 in 2018 money) and had a Motorola 68000 CPU at 12.5 MHz and 64 kbit of RAM. The Sega 32X was released on November 21, 1994 for $159.99 ($269.36 in 2018 money). It had 2 SH-2 RISC CPUs at 23 MHz with 256KB of RAM and 256KB of VRAM. Genesis emulation is very good, with a high degree of game compatibility (many of them claiming nearly 100% compatibility with commercial games, including Virtua Racing). They are available on many platforms. Many Genesis emulators also feature compatibility with the Sega Master System (SMS), and the Game Gear (GG) as well as earlier Sega consoles. Genesis-based arcade boards and the Sega Pico are still sketchy, however. ↑ 1.0 1.1 Only for the 32X as a cross-platform alternative to Kega Fusion. A very solid emulator for the Sega Genesis / Sega Master System / Sega CD / Game Gear. The only things it lack are 32X and Pico support, and a native desktop port; the only way to get this emulator on the desktop is to use the libretro core, which allows for all the benefits of RetroArch like shaders, dynamic sync, and other enhancements. The version used in BizHawk adds features for speedrunners. The project of an employee with previous experience at Sega. Kega Fusion has high compatibility, is easy to use and has plugin-based filter support. But it has some issues on newer versions of Windows. Strongly prioritizes performance over accuracy. Compatibility and accuracy isn't as good as Genesis Plus GX but it's useful on very underpowered systems like the Raspberry Pi Zero. Currently the first and only cross-platform option for 32X and Pico games. Think bsnes but for the Genesis. Even though higan is also getting into the Genesis game, Exodus has already achieved cycle-accuracy at the familiar cost of high system requirements. It is the newest Genesis emulator and is far from complete. A focus on accuracy as earned it high compatibility with games, but it does not emulate the Sega CD and 32X. It also allows overclocking. Aims for cycle-accuracy but unlike Exodus, aims for lower system requirements. It has substantially higher compatibility than Exodus but falls short of Genesis Plus GX. Close to Kega Fusion in features and compatibility, but has largely been surpassed by better emulators. There are many different forks and iterations of Gens, so your experience will differ quite a lot depending on which version you use. Also developing cycle-accurate Genesis emulation, akin to its very own SNES emulator bsnes. It's promising but incomplete. However, it can be used in the latest builds. Has the parent drivers genesis, sms, gamegear, segacd, and 32x. Green drivers are reported as OK, where red ones are reported as not working as of version 0.200. Lock-On Technology is a unique feature found on Sonic & Knuckles cartridges for the Sega Mega Drive/Genesis that allowed a player to connect an older game to the cartridge's pass-through port for extended or altered gameplay. With Sonic 3: Unlocks an alternate version of Sonic 3 with more levels. With Sonic 2: Unlocks an alternate version of Sonic 2 with playable Knuckles. With Sonic 1: Unlocks the Blue Sphere minigame with a level select to all possible levels. Smaller than 2MB: Will play a single random level from the Blue Sphere minigame generated from data in the header. Bigger than 2MB: Will boot to Sonic & Knuckles. Has Battery Pack: All save data will be wiped out. Most emulators don't support Lock-On save for Genesis Plus GX, but there are pre-combined ROMs for the Sonic trilogy available online that can be played as a regular Megadrive ROM on any emulator and still work. The Sonic 3 Complete romhack also achieves the same purpose. Genesis Plus GX's RetroArch core includes true Lock-On emulation. From the Core Options menu, you can enable the Lock-On feature for either Sonic & Knuckles, Game Genie, or the Action Replay (Pro) -- the latter two using a different technology but with similar effects. Setting this option to anything other than "Off" will enable Lock-on to the cartridge you're currently playing as. After resetting, the game will boot in Lock-On mode. sk2chip.bin (Sonic & Knuckles UPMEM (256 KiB) ROM): If you can't find it online, extract it with a hex editor from a pre-combined Sonic 2 & Knuckles ROM from offset 00300000 to the end of the ROM. For GG/AR, the files needed are areplay.bin and ggenie.bin, but most emulators support cheat codes from these natively. 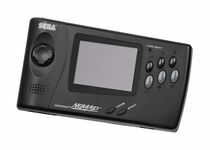 MegaDrive Development Wiki - A Wiki about every technical aspect of the SEGA MegaDrive hardware and software. Its aim is to provide the most detailed, accurate and up to date information, to help homebrew development and repairs. This page was last edited on 3 April 2019, at 18:27.